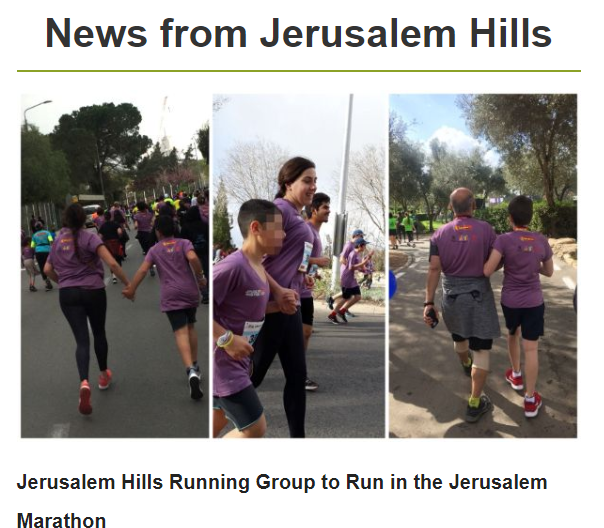 For the fourth year in a row, a special group of children and staff from "Jerusalem Hills" will be running the 5 km race in the Jerusalem marathon. This group, made up of 25 boys and girls and 25 staff members, are in full preparation mode for the race. 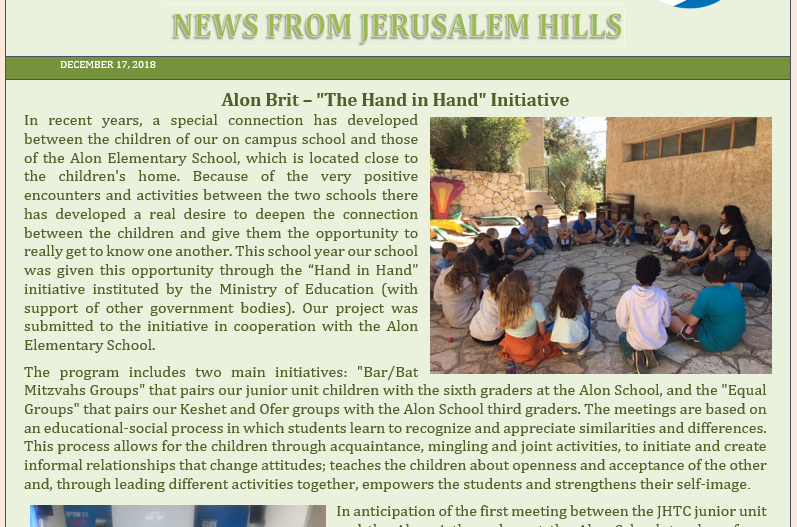 Each child has a staff member that accompanies them, and together they run, a little more each day, so they will be fully prepared for the 5 K.
In recent years, a special connection has developed between the children of our on campus school and those of the Alon Elementary School, which is located close to the children`s home. 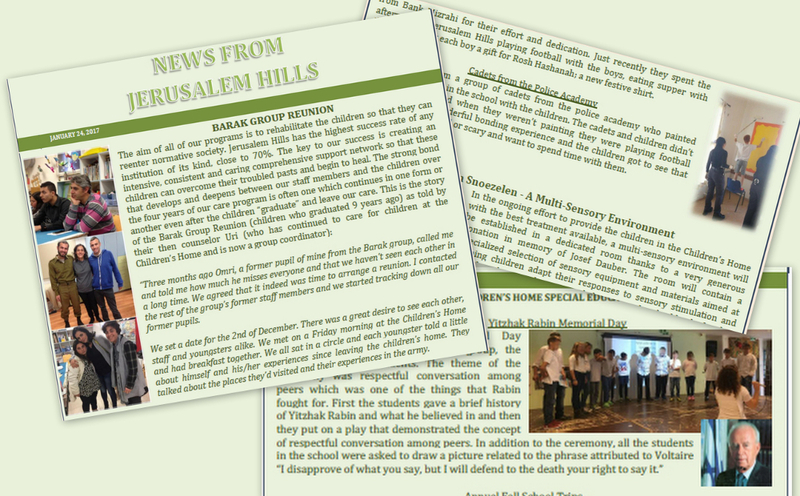 Because of the very positive encounters and activities between the two schools there has developed a real desire to deepen the connection between the children and give them the opportunity to really get to know one another.